There comes a time in late summer when grocery stores, farmers markets, and home gardens become overrun with herbs and fruit just waiting to be processed into something tasty. Have a plan for creating fresh garden syrups from your bounty this year. In our day, individual flavored syrups are usually used as a mixer with club soda or seltzer water. You’ll recognize raspberry, strawberry, blackberry, and peach as the most popular. 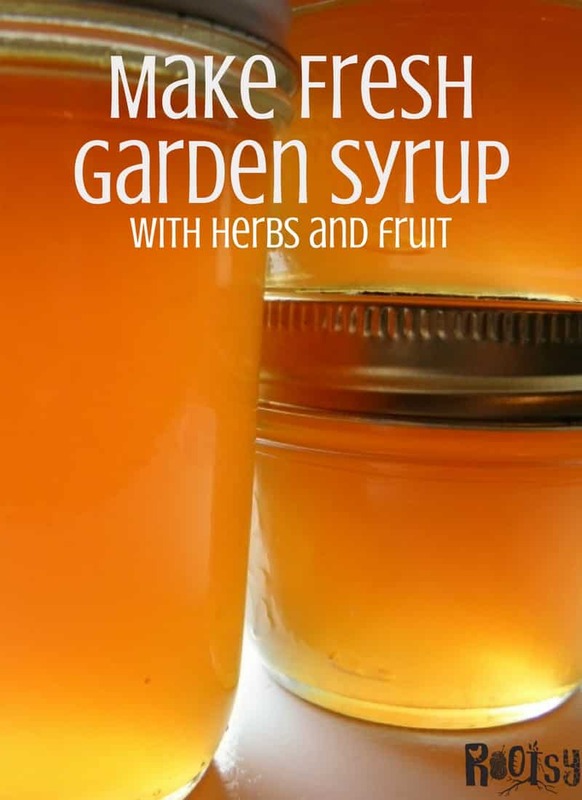 Those can be tasty but limiting because once you learn the secret to creating garden syrups you will find so many uses for it and you will dream up recipes to include it with everything. 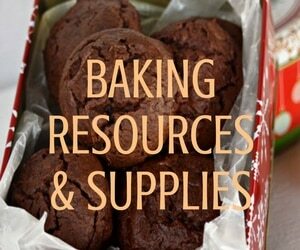 Once the harvest sets in and the kitchen heats up, you will welcome an easy to prepare recipe. Processing time for these fresh syrups is often just 15 to 20 minutes so you don’t have to set aside a whole day to make a tasty treat. Fruit juice is the basic ingredient of your syrup and this is where the planning stage for your harvest comes into play. As you are preparing fruit make sure that juicing is one of your preservation methods. You can find detailed instructions from Kitchen Sanity to make juice from any fruit or vegetable, without a juicer. Consider making juice from mango, cherry, blueberry, pomegranate, pineapple, apple, or citrus and then turning it into a flavorful syrup. Once you have prepared your own fruit juice or purchased it from the store, the ratio of sugar to juice determines the thickness of the final syrup. 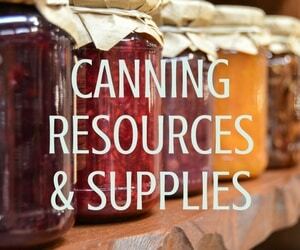 The recipes below are used as the basic simple syrup ingredient when canning fruit. You can make simple fruit juice syrup by substituting the water with fruit juice. You may find that your herb garden is overflowing with mint, lemon balm, basil, or lemon verbena. You can make different kinds of flavored syrup by making basic simple syrup (above) and steeping fresh or dried herbs in boiling water. Add the mint leaves to a French coffee press of bowl and cover with the boiling water. Cover for 20 minutes. Use immediately or store for up to one year (with ascorbic acid) or six months without it. Once a jar is opened it can be stored in the refrigerator for 2 weeks. The possibilities for making your own flavored juices are endless. Instead of steeping herbs try boiling cinnamon, ginger, or rosehips in the water and sugar for another tasty variation. You can learn more about turning your harvest into juices, wines, teas, and cider in the book Drink the Harvest by Nan K Chase and DeNeice C Guest. 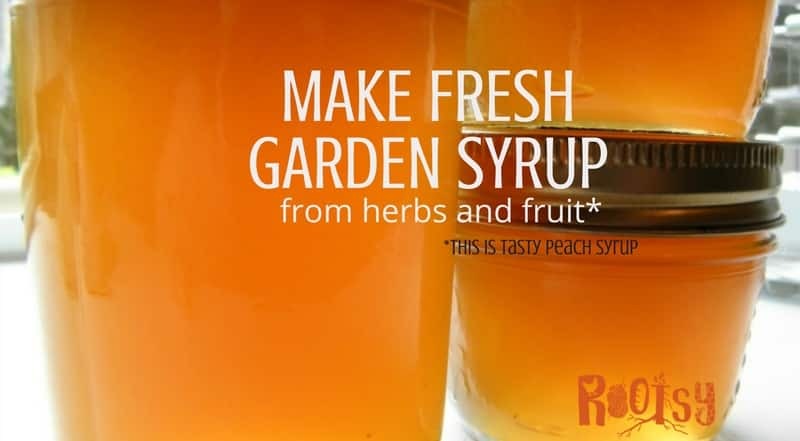 Creating fresh garden syrups can give you another way to enjoy your garden bounty and make nutritious flavorful syrups that are healthier and more economical than store-bought. Give it a try! How much JUICE to water/syrup?